What difference does ten years making to a top of the range gaming machine? That's what we found ourselves wondering the other day, and seeing as we're old enough to remember such machines, we set out to find out. Ten years ago we were enjoying genre-defining classics. 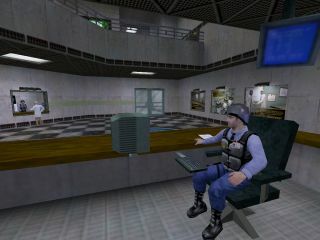 Half-Life was putting down the foundations of quality storytelling in mostly-believable settings. The soon to be revived Medal of Honour was astounding war fans with its excellent set pieces (most recently aped by Modern Warfare 2). Unreal Tournament and Quake III Arena were impressing with their graphical finesse and adrenaline-fuelled rocket-jumping matches, and the seminal Deus Ex was merging genres, while Diablo II was hinting at what Blizzard was capable of. PC Gaming may have been facing stiff competition from the consoles, but a well-specified PC could show those boxes how it was really done. Unfortunately, gaming PCs weren't exactly cheap. True the battle between AMD and Intel was at its height, with AMD's Athlon taking on Intel's Pentium III to great affect, but you were still looking at north of £1,200 for a budget system, and around £2,000 for a fully pimped out gaming machine. These were the dark times of slots versus sockets, as well; making for plenty of headaches for anyone trying to upgrade later on. A key component of any such rig was a quality graphics card, and after the early days of sorting out which manufacturers had the muscle to compete, it was down to a few familiar names for the closing stretch. 3DFX had already had its heyday with the Voodoo2, and the Voodoo3 was finding it tough going against Nvidia's Riva TNT2 Ultra and its newest offering, the GeForce 256. ATI was doing well with its first Radeon card, and even its Rage 128 Pro could still be found strutting its stuff. Back then AGP was the interface of choice, and Microsoft's DirectX 7 API was finally becoming a standard for developers to write to. TFT monitors were still some way off making it to the mainstream, which meant that desks were packed with 15 and 17-inch CRTs, although 19-inch screens were putting in a good showing for gamers as well. Quality sound was something that came from a discrete card, and Creative Labs was already forging ahead with its SoundBlaster Live! series. Meanwhile gaming machines packed a relatively impressive 128MB of SDRAM into their beige boxes, and offered anything up to 30GB of space if you were prepared to pay for it. Those on a tighter budget would have to make do with 10GB or less. And away from gaming, the big beeping-whistling noise was all about free internet connections, and getting the most from those 56k modems. Amazingly, Pentium III and Athlon gaming PCs are still around today - at least they are on the likes of eBay, Freecycle and your local tip. You can spend anything from zilch to over £200 on a machine that once played finest games around, and originally cost ten times that - and they say nothing depreciates like cars do. Alternatively, you can go seriously old school and piece together a bit of gaming history yourself. If you were to shop around, then you could pick up everything you need for such a machine for £177.90, although to be fair that does include a new quality case far better than was available at the time. Even so, realistically your money is probably better spent on a netbook - it's a bit more portable, and dare we say (yes we dare) more powerful. Hit the next page to see what made up our gaming PC of 2000.